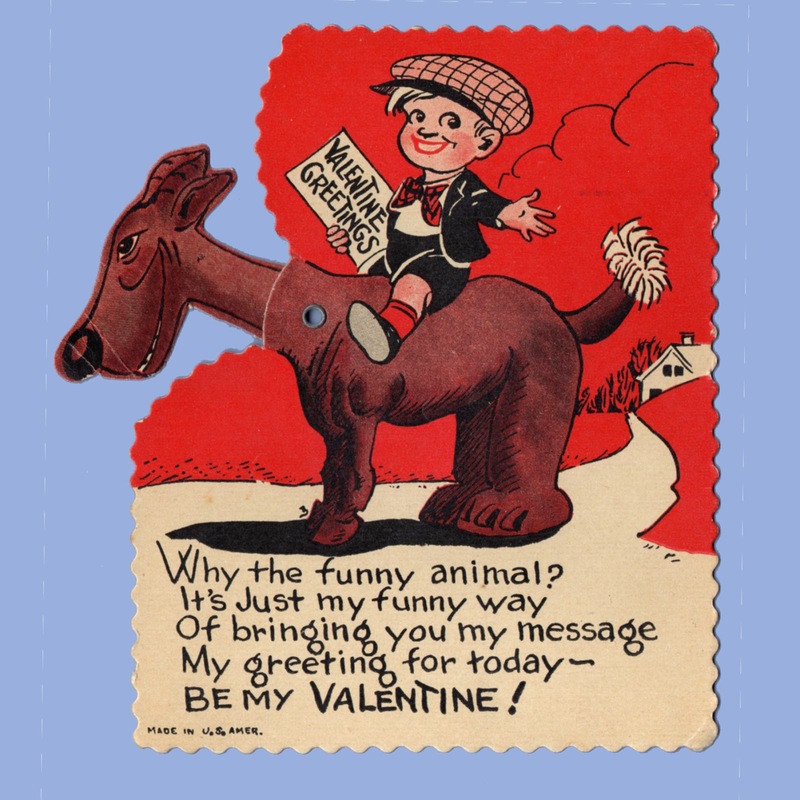 There are at least 2 different versions of the Goofy Gumpus series of mechanical flat valentine cards. 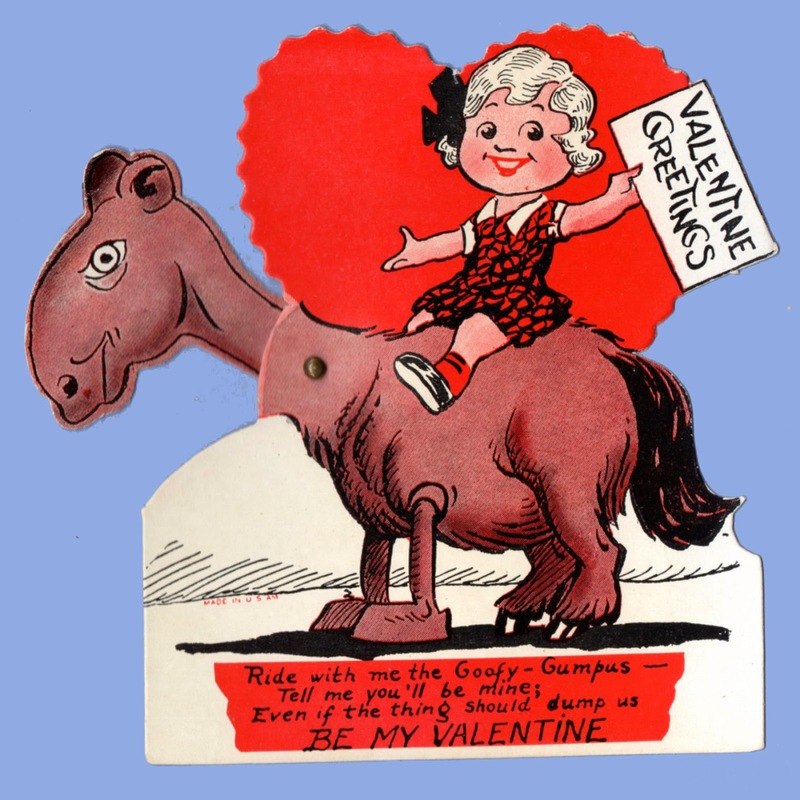 The slightly larger version (our top card seen below) is on heavier paper and has a more matte look to its finish than the slightly smaller version (seen below at bottom). 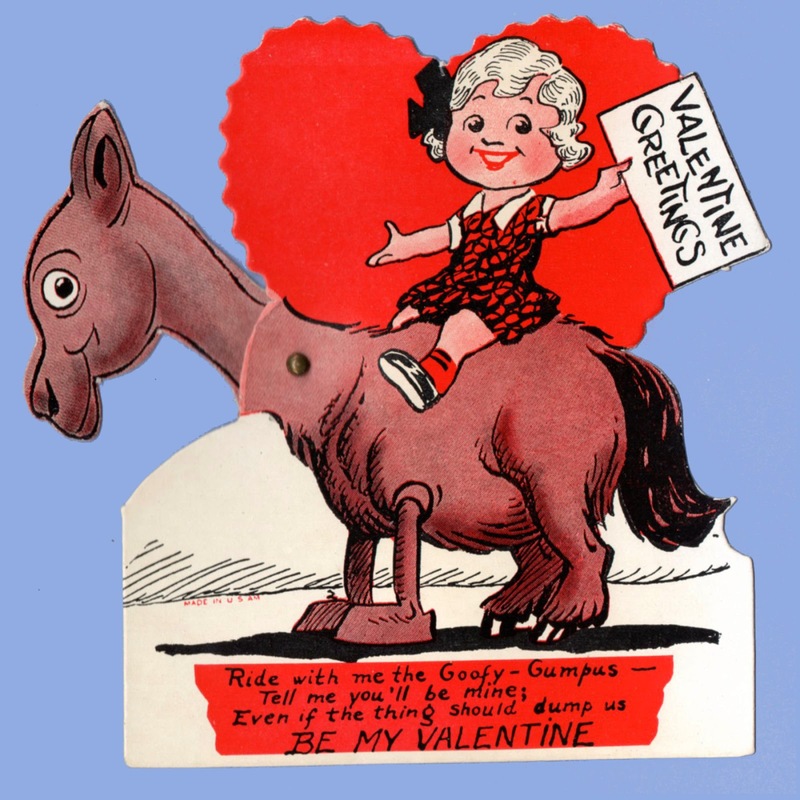 Both feature nonsensical animals with 3 different heads and a figure with a sign (Valentine Greetings) seated atop the beast. 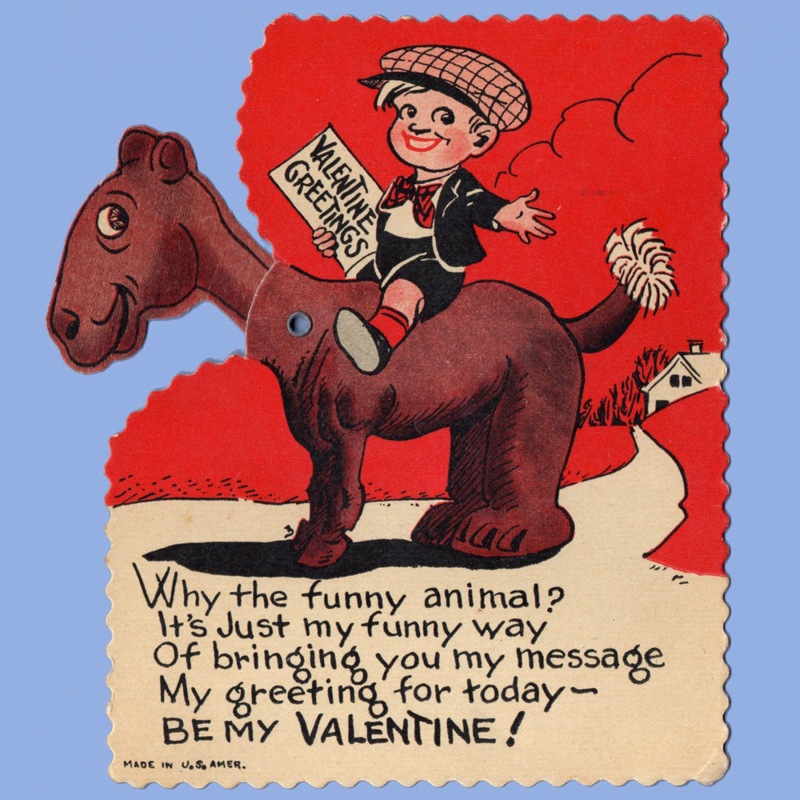 Why the funny animal? 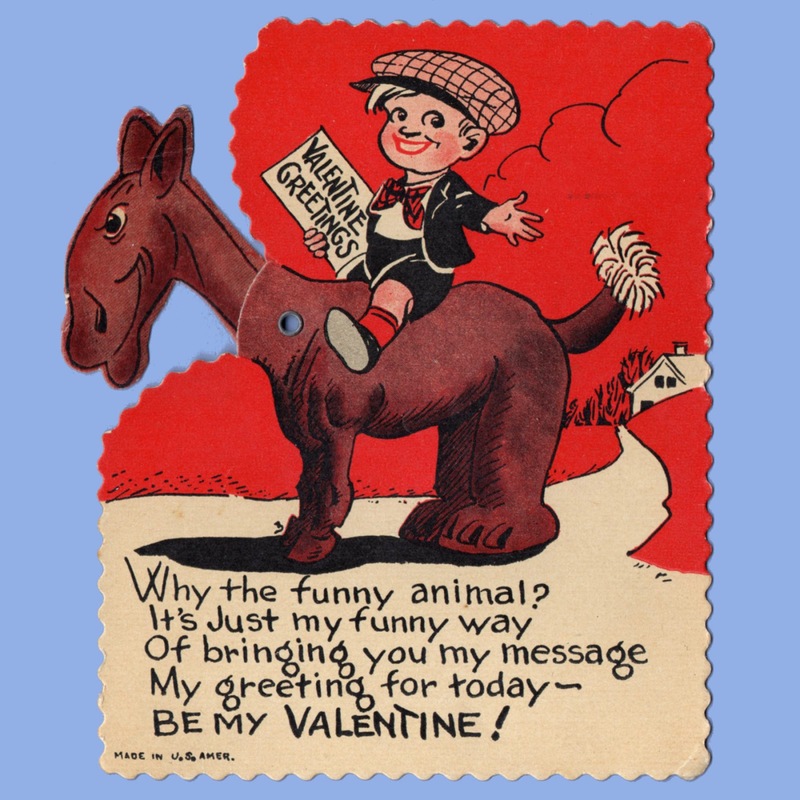 It's just my funny way Of bringing you my message My greeting for today~ Be My Valentine! marked: Made in U.S. Amer. 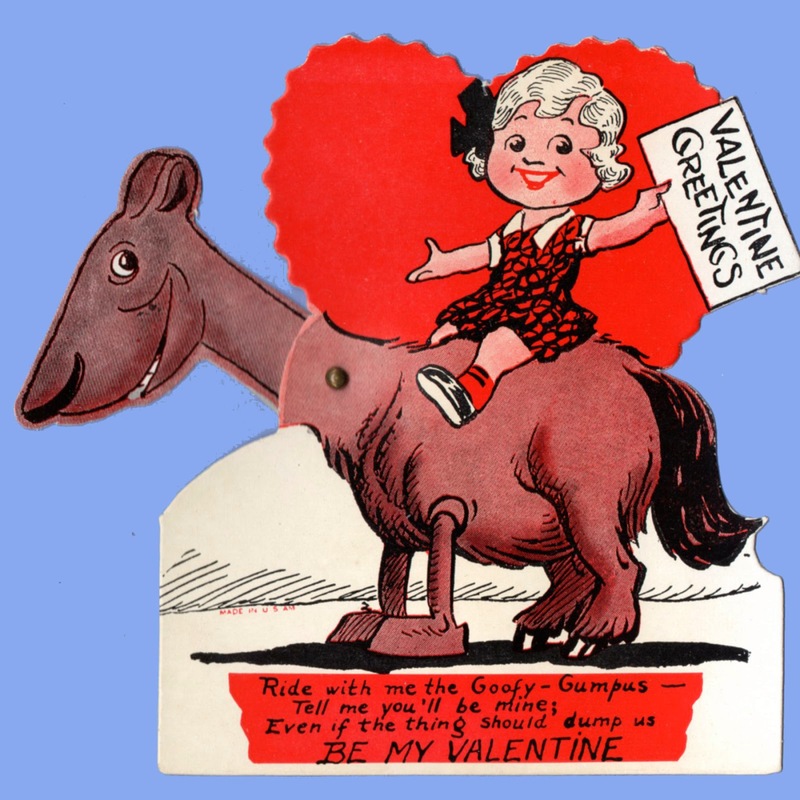 Rise with me the Goofy Gumpus - Tell me you'll be mine; Even if the thing should dump us ~ Be My Valentine! 4 5/8" x 4 3/4"